Two teams of 5 children each (9th grades) designed and fabricated at Fab Lab a mockup of a playhouse for smaller kids to be built in their own schools. In collaboration with their teacher, Arto Niva and Inga Karjalaisen, they have prepared the project a little bit before coming to Fab Lab. They have a clear idea of what they have to do at Fab Lab, and Fab Lab staff just have to support them in the use of 2D/3D design software (Sketchup and Inkscape) and with the use of the laser cutter and the sewing machine. 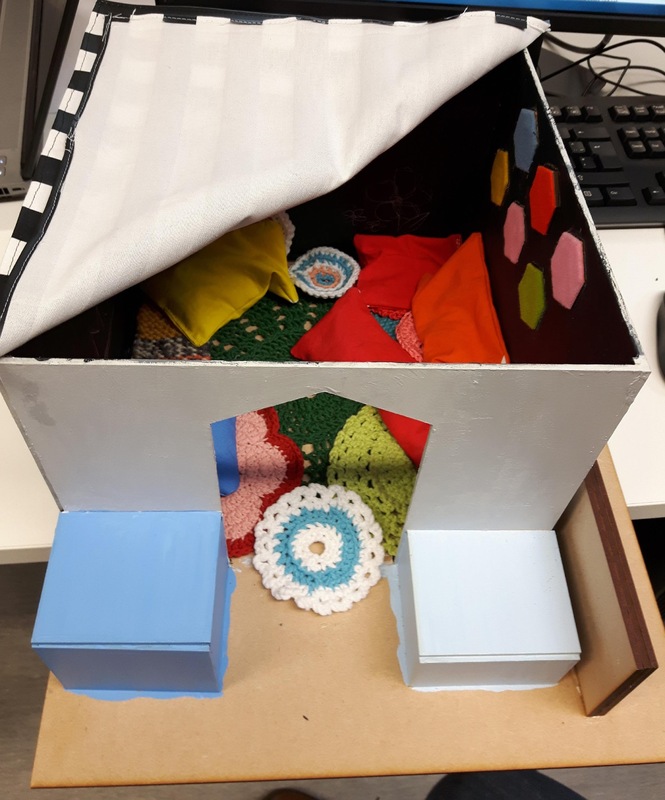 During the week the members of the two teams collaborated to build the mockup of the playhouse out of cardboard and built furniture in minuature, even knitting cushions or curtains. In addition, they had to do a public presentation in the middle of the project to describe their ideas and report about the project status. Arto Niva describes in his blog his view on the activity.